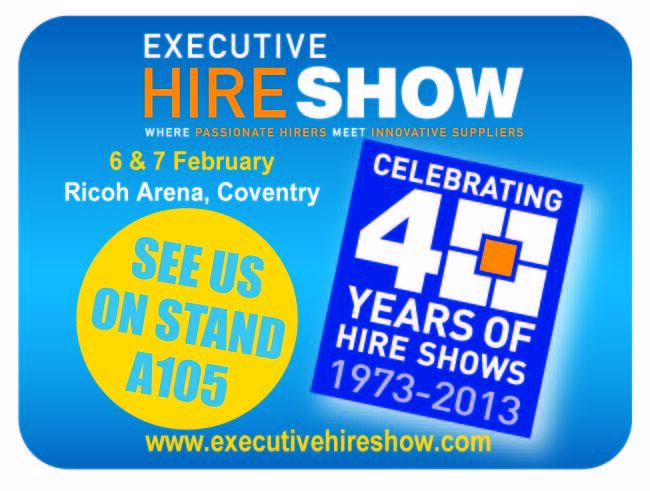 A quick reminder – if you’re coming along to the Executive Hire Show exhibition at the Ricoh Arena, Coventry on 7th/8th February, come and visit me and some of the team on stand A105, where we’ll be giving live demonstrations of the world’s first off-the-shelf wireless centre of gravity system and giving away free goody bags (to reserve one, please email your name and company name quoting ‘EHS’). Plus, The Executive Hire Show panel selected a few companies to be part of their ‘Innovation Trail’, where large floor tiles are placed by company stands where innovative products are available – I’m delighted to say that Straightpoint is one of those selected companies, so feel free to follow the floor tiles and we hope to see you there! Wishing you a happy, healthy, prosperous 2013. I’m looking forward to meeting old and new friends this year with as ever a busy schedule! Havant firm marks year end by notching up a record turnover. A FIRM is a force to be reckoned with after unveiling record turnover in 2012. Straightpoint, which designs and manufactures devices to accurately measure loads and forces, has seen a 60 per cent increase in turnover and, as a result, is expanding its number of staff and doubling the size of its UK head office in Havant. Straightpoint director David Ayling said he believed there had been a number of factors which added together made the company so successful in 2012. He added: ‘We took on a number of additional distributors including a major player in France, launched new hire and offshore services, launched a new world-exclusive wireless centre of gravity system, and our reputation seems to be increasing for our robust products, speedy delivery and friendly, efficient customer service. ‘Although business from some countries has slowed a little due to the economic situation, we have balanced this by gaining additional business from countries with booming economies. As a result of the increase in business, Straightpoint recently took on new business administration and calibration engineer apprentices. In addition, UK sales manager Steve Woodhead and technical sales engineer for the US office John Molidor joined the team. Straightpoint’s most recent head office addition is calibration manager Wayne Chant. Mr Ayling praised the skills of his new staff.